BBC NEWS | Programmes | Panorama | What will the Stevens report bring? What will the Stevens report bring? The Metropolitan Police Commissioner Sir John Stevens is due to publish his long awaited report into the undercover 'dirty war' fought by the intelligences services against the IRA. Spanning three enquiries over the last 14 years, the report is the culmination of the longest criminal investigation in British history. Evidence had to be prised out of Military Intelligence, what was then the Royal Ulster Constabulary Special Branch, and MI5. Stevens, however, takes a philosophical view of those opposed to illuminating the darkest recesses of the secret state. "I expected it", he once told me, "I always knew these people didn't think it was any part of my business to look into theirs." Washing the British Army's dirty linen from the late 1980s in public will cause some irritation at the Ministry of Defence. Sir John is unrepentant. A source close to him said: "Publication day has been put off and off and off. There was never going to be a right time." The report is 3000 pages with 176 floppy disc attachments. While this goes to Hugh Orde, Chief Constable of the RUC's successor - the Police Service of Northern Ireland - the public get just a 15 page summary. Stevens had hoped to release a 45 page summary but even this has been cut because of advice that any greater detail could prejudice future court cases. Several dozen files on former military intelligence personnel, police officers and members of loyalist paramilitaries have either been sent to the Northern Ireland Director of Public Prosecutions or are still being prepared. Some of the report's heaviest blows fall on the most secret unit within Military Intelligence - the Force Research Unit (FRU) - for colluding with Loyalist deaths squads in assassinating IRA suspects. Classified files suggest that gun attacks on people named and targeted by a Military Intelligence agent, Brian Nelson, were made against at least twenty people, many of them killed or wounded. The true figure may be much higher. Only a handful were actively involved in terrorism. Nelson died last week in Canada from a from a brain tumour. He had been living there under a new identity having been released from prison four years ago. The report will also confirm that police officers from what was then the Royal Ulster Constabulary either encouraged Loyalists to shoot people they suspected of being involved in terrorism, or chose deliberately not to prevent attacks which they knew were being planned. Although the summary report will say the Stevens enquiry was obstructed, it makes no mention of how, as this is still the subject of investigation. This came from a quarter Stevens least expected: the then RUC Chief Constable Sir High Annesley who called him over to Belfast to investigate allegations of collusion in the first place. 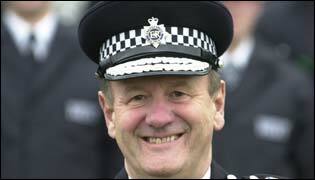 Stevens had just been appointed deputy Chief Constable of Cambridgeshire when he got the call to go to Belfast. A catholic, Loughlin Maginn had been shot and the Loyalist death squad responsible - the Ulster Defence Association - were claiming he was an IRA intelligence officer. Maginn's family insisted he had no terrorist connections. However, the UDA published a police intelligence document which had been videoed by soldiers sympathetic to them and then leaked to them. They also posted up other leaked security force documents in Belfast in an attempt to prove the accuracy of their targeting. This triggered the diplomatic equivalent of a nuclear explosion. Annesley, himself just three months into the job, had no choice but to call in an outside police enquiry. The brief he gave Stevens was to investigate all the leaks associated with Maginn's murder and elsewhere. What Stevens didn't know then was that an agent, Brian Nelson, who worked for the Force Research Unit had provided the video camera which had sealed Maginn's fate. Moreover, a full nine months earlier, Nelson had passed the video to his FRU handlers who had done nothing to ensure that Maginn and others on the video were warned their lives were in danger. This was part of a pattern of collusion later unearthed by Stevens in secret files which showed that Nelson had been recruited to help the Loyalists take the war to the enemy by making their targeting "more professional." However, Stevens has recently discovered that Annesley had instructed the then Army chief Sir John 'muddy' Waters not to provide Stevens with any army intelligence or details of Military Intelligence units. The RUC Special Branch were under a similar instruction. Although the FRU had also sent them a copy of the video Nelson had given them, they instructed the deputy head of SB Detective Chief Superintendent Brian Fitsimmons not to divulge the contents to Stevens. Fitsimmons was one of 29 senior Special Branch, Military Intelligence and MI5 officers killed in June 1994 when their RAF Chinook helicopter crashed into the Mull of Kintyre. However, both Annesley and Waters will be questioned under caution by the Stevens enquiry. Nelson's FRU handlers were promised full protection by their senior officers. As one handler later told Stevens: "I was told the FRU files would never be looked at and I would never be interviewed." Annesley's directive might also explain why, in response to a question from one Stevens detective, a senior military officer denied categorically that the army ran any agents at all. Behind the scenes, the army were doing all they could to conceal evidence which incriminated their prized agent and their own complicity in his murderous activities. Helped by his handlers, Nelson had prepared hundreds of targeting files on IRA suspects to be shot. Within a week of Stevens' arrival, these were seized on the orders of FRU's commanding officer Colonel Gordon Kerr, in case Stevens discovered them. Unfortunately for the FRU, Nelson had already copied scores of files to Loyalist death squads other than the UDA and meaning they were now beyond his control. This proved to be the FRU's undoing because when Stevens finally got access to these files, he identified Nelson's fingerprint on one of them. Stevens asked Special Branch to locate Nelson but he was tipped off and fled to England. On the eve of Nelson's arrest, Stevens' headquarters in the Northern Ireland Police Authority - supposedly one of the most secure buildings in the province - was burned down. The RUC said it had been caused by a cigarette carelessly discarded by a Stevens officer. Stevens, however, told his team he was convinced it was arson and an attempt to get them to go home. Walking through the ashes, the late Wilf Monaghan, then an RUC Assistant Chief Constable wise to the ways of Military intelligence, told Stevens: "This is the work of FRU, I'm telling you." When Stevens made it clear that, despite the fire, he was digging in for the long haul, there were several crude attempts to discredit the professionalism of his officers - all personally selected by him. Stevens also has no doubt that his telephone conversations were routinely intercepted. Statements and notes purporting to be written or handled by his team were found in hotels where they stayed, under a photocopier in a departure lounge at Belfast airport, and a locker in a police station where they had been interrogating suspects. In 1991, Stevens' detectives asked the Special Branch to provide 38 personal files on nationalists and republicans that Nelson had targeted. A Special Branch Detective Chief Inspector told them in a statement under caution that no such files existed. It was not until 1999 that the Stevens' enquiry recovered all of them. The hostility of Special Branch to Stevens made its deputy head Brian Fitsimmons distinctly uncomfortable. When Fitsimmons argued privately that it was their duty to more helpful, one long standing colleague challenged his loyalty. Even three years ago the Ministry of Defence were still trying to put a lid on this scandal when Defence Secretary Geoff Hoon secured an injunction against a former FRU handler Martin Ingram who confirmed to the Sunday Times the FRU had been complicit in murder. After Stevens arrested Nelson, he sought access to the FRU's classified files on him. For months the army played games until McFadden said the game was up. This normally mild mannered officer made it clear that unless the files were handed over, the General officer Commanding forces in Northern Ireland would be arrested. Only when Stevens finally got access to trolley loads of these files did the full extent of Nelson's involvement in targeting and the FRU's complicity began to emerge. One question that his 15 page summary report is unlikely to address is: What did MI5 know about the extent to which the FRU and elements of the RUC were colluding with Loyalist death squads? It was, after all, MI5's job to monitor the activities of both Special Branch and Military Intelligence and to report independently to Whitehall. In 1991, when MI5 officers were interviewed by Stevens personally, their answer was: virtually nothing. That was untrue since MI5 had themselves had lost a bitter battle with FRU for Nelson's services, they had a full time FRU liaison officer sitting right next to FRU's operations officer and they had a clerk with access to all FRU's files. Even in the closing stages of Stevens' enquiry, it has been a bit like pulling teeth from MI5. Yet for 11 years MI5 withheld a vital piece of intelligence which provided some corroboration for allegations of security force involvement in the murder of Pat Finucane. The document was only handed over after Hugh Orde, who led most of the third phase of the enquiry before being appointed PSNI Chief Constable, sought an assurance from all government departments that everything of any relevance had finally been disclosed. Subsequently a further batch of hitherto undisclosed papers have also been made available to Stevens within the last few months after yet one more "final" request for documents - this time from the retired Canadian Supreme Court judge Peter Cory appointed by the Irish and British government to determine whether a public enquiry into the Finucane murder is merited. Above all, what has astounded Stevens and Orde is the stark contrast between the very high numbers of MI5, army and Special Branch agents who had penetrated Loyalist death squads, and the very low level of their arrests. For several years people like Johnny Adair and Winky 'Big Evil' Dodds were allowed to roam the streets targeting IRA men and their sympathisers, but more often killing uninvolved Catholics. Stevens has concluded that virtually the UDA's entire West Belfast brigade could have been closed down had the intelligence been properly exploited. Why did MI5 not ensure that this happened? Was the intelligence picture just too chaotic, or were there people within MI5 who were also prepared to turn a blind eye? This remains a live area of the Stevens enquiry suggesting that the final chapter of this marathon has yet to be written. Although only a fifteen page summary of the report is being published, it is still the most critical official document yet published about a group of shadowy intelligence operatives who believed they were accountable to no-one.